ESET, a global leader in cybersecurity, has been awarded a VBSpam+ certification in a recent report from Virus Bulletin, a world-renowned independent testing and certification body. 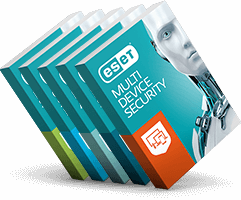 ESET, a global leader in cybersecurity, announced that it has made its smartphone-based 2FA solution, ESET Secure Authentication (ESA), available via its 4000+ strong MSP Partner’s Program. ESET, has been recognized with gold and silver awards in recent reports from AV-Comparatives, an independent testing organization.